In the interest of complete transparency, I need to confess. I hate zucchini. Right up there with Brussels sprouts. However, we are currently growing them in our garden. 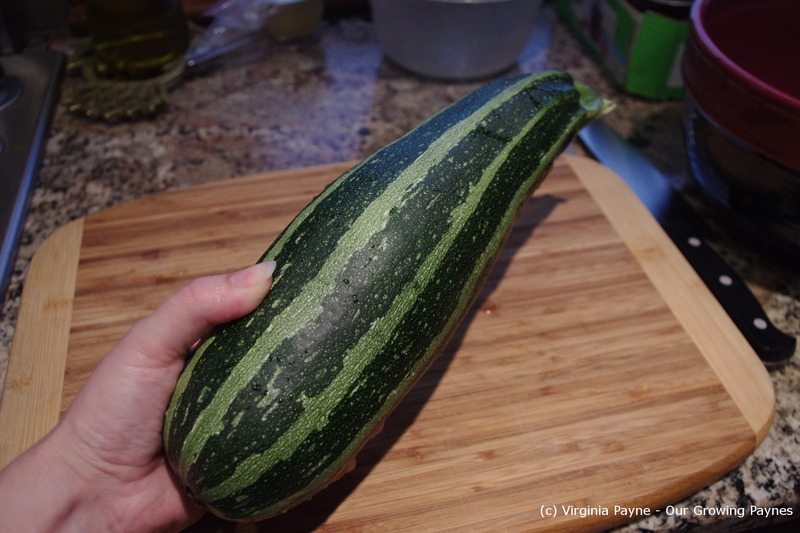 We let our kids each pick a veg to grow and my daughter picked zucchini. Sigh. And they are huge! So of course I have been on the look out for recipes. Something that would make me like zucchini. I have recently found the blog Manger which is a wonderful blog with amazing pictures and recipes. I would love to have her photographer. Whoever it is knows their stuff. 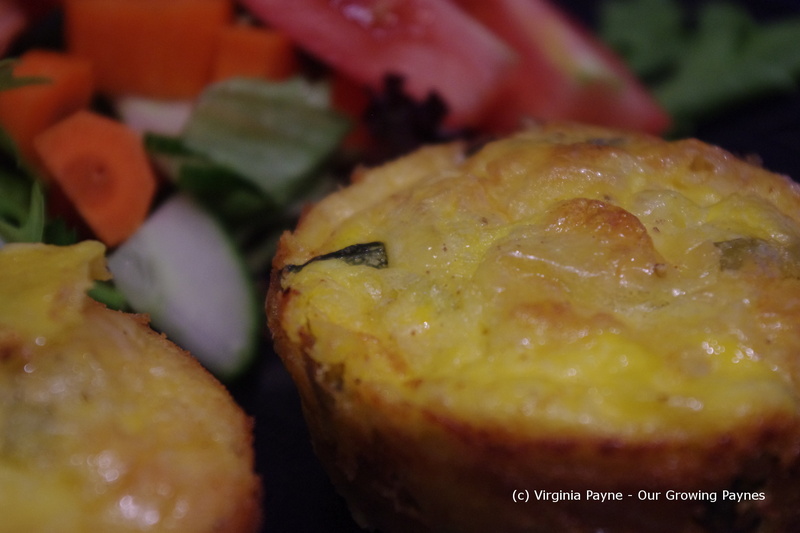 This past weekend she blogged about Bastille day and in among the recipes was one for zucchini flan. I thought it would be perfect to try. Now in her recipe she mentioned using two large zucchinis. I don’t think she had in mind what I harvested. In her recipe she said to thinly slice in half rondelles. This thing was 3″ in diameter in some spots. For this recipe I used 1/3 of the above zucchini and cut it up in small triangles. I didn’t have shallots so I used 1/2 an onion from the farmers market. These were the sweet ones I found and used last week. 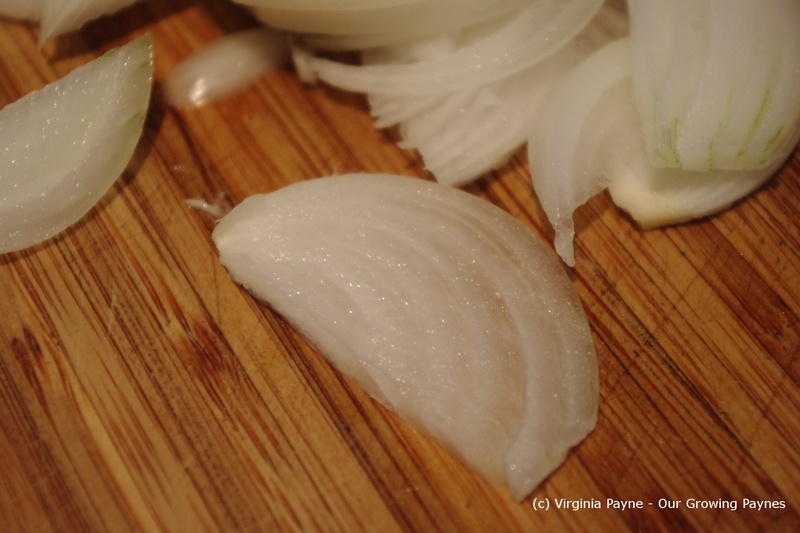 I finely chopped the onion and a clove of garlic. Use either a large clove or 2 smaller cloves. 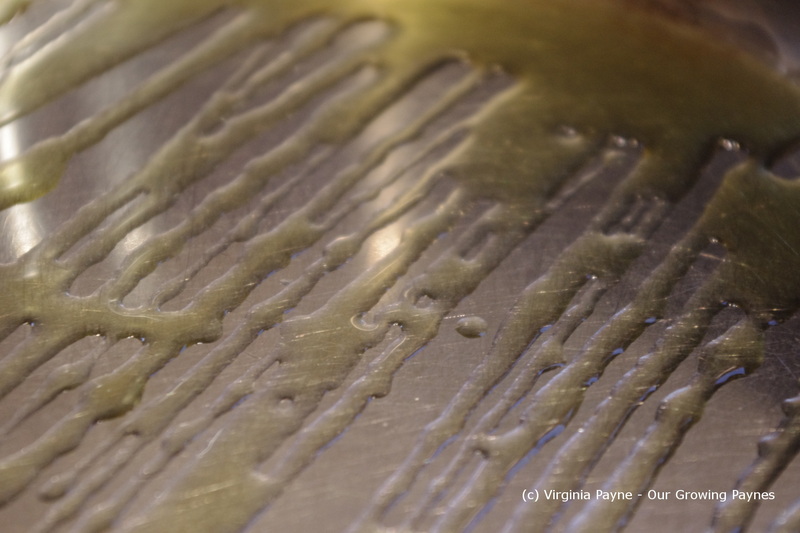 I drizzled a bit of olive oil into a skillet and heated that up. 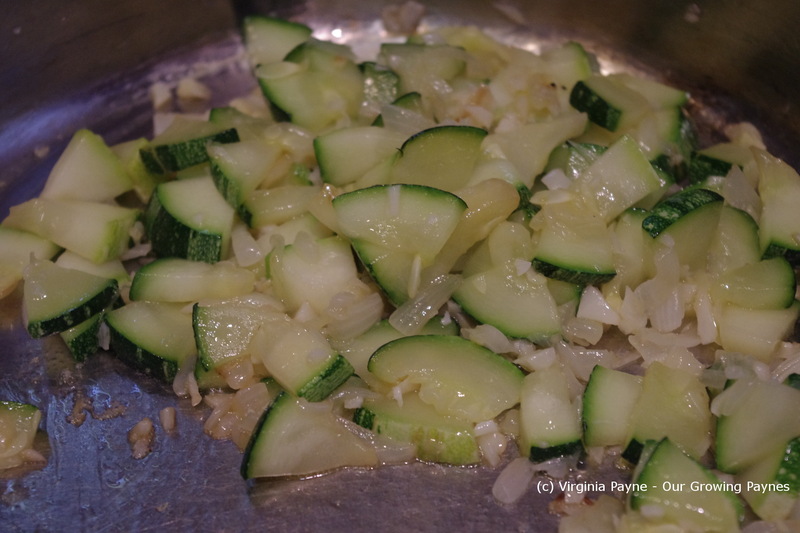 Saute the zucchini, garlic and onion. While this is cooking beat 5 eggs in a large bowl. Her recipe calls for 4 T of corn starch to be mixed into the eggs. I had about 2 1/2 T so I supplemented with flour and it came out well. The hardest part was getting rid of the lumps! Grate 105g of cheese like a guyere. I used the Jarlsberg we have on hand. I grabbed a handful of fresh mint from our garden and chiffonade the leaves. Mix all this together. 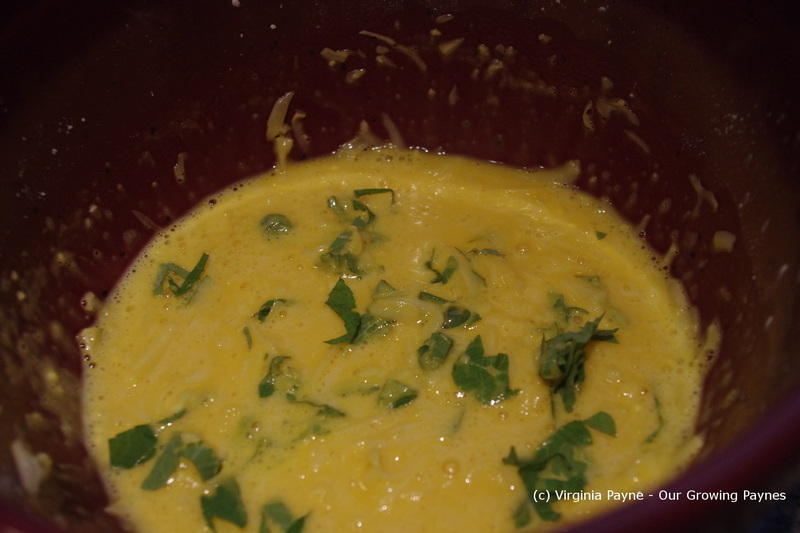 Once the zucchini mixture starts to become lightly brown remove from the heat. 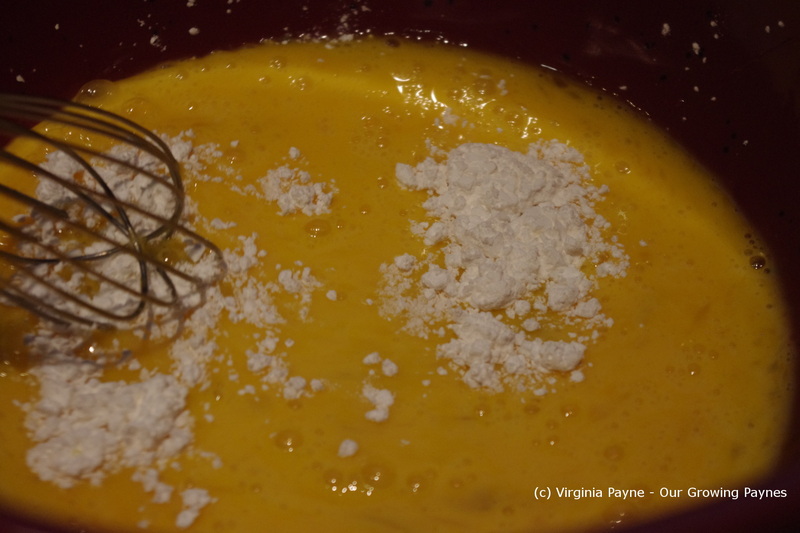 Add to the egg mixture and mix gently. Add the remaining ingredients of 2 T of lemon juice, 1/2 tsp of nutmeg, and salt and pepper to taste. 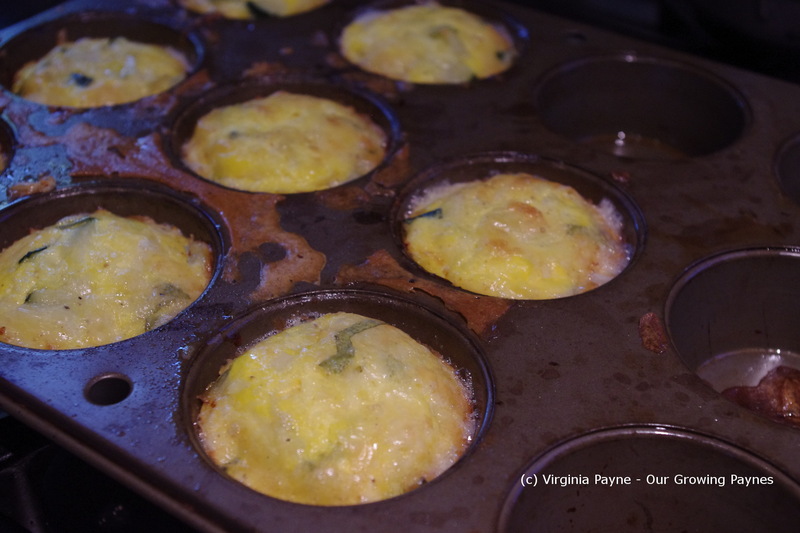 Use a tin with small muffin wells that are sprayed with oil. Spoon in the mixture. This made about 8 flans with the size I had. Bake for 20-25 minutes depending on your oven. I had decided to make these when it was much cooler. The day just got hotter so by the time I needed to make these I didn’t want to cook! So I thought these would be perfect with a light salad given that the humidity was drifting back up. 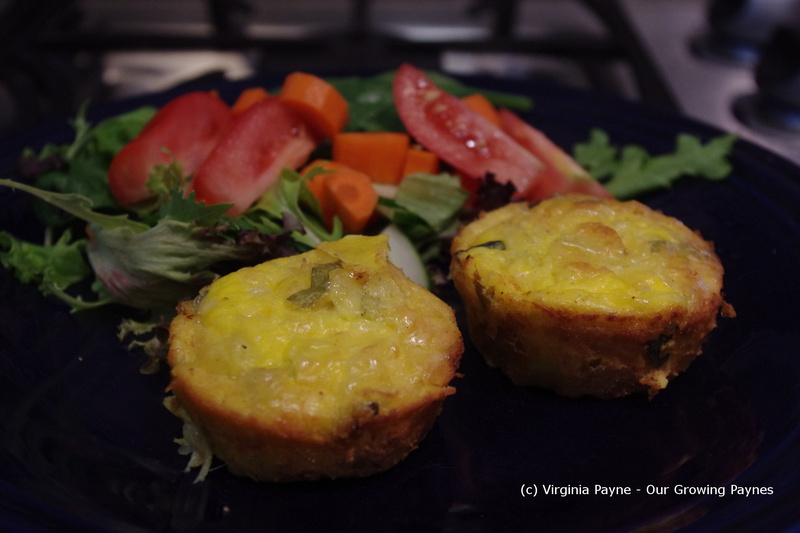 This entry was posted in French Recipes and tagged baking, cheese, cooking, courgettes, dinner, eggs, food, jarlsberg, vegetarian, zucchini, zucchini flan, zucchinis. Bookmark the permalink. They sound really good – I might even be able to tempt my son with them who has the same approach to zucchini as you do! This looks perfect! I love this recipe. And the little mini sizes too. Isn’t Manger a gorgeous blog! Evidently it is her husband behind the lens of all those incredible photographs. Lovely looking life over there eh? These look great and must taste great if you sone wants them for his birthday. Too bad you don’t like zucchini. Do you like yellow squash? Any squash?? No squash. Tastes bitter to me. But I’ll cook it for people if they like it. Lovely recipe. I checked out the site “Manger” and you’re right…very cool pictures. That is such a wonderful idea, to have each of your children choose one veggie to grow in the garden! Your kids will become healthy adults because of those great little choices you make 🙂 These looks delicious and so cute! They love to cook as well which is awesome!